As a society, we seem to be fascinated champions especially when they are national or world champions. 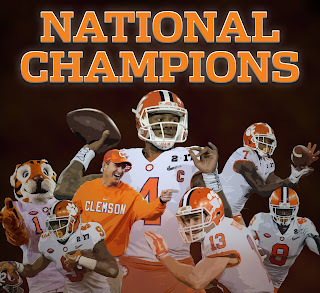 Team and their fans will relish in the spotlight of being the national champions, whether the sport be football, basketball, baseball, lacrosse, or hockey. In the professional sports world, we tend to elevate the championship level from national to world, for instance the World Series for baseball and the Super Bowl Champs for football. We love a winner. 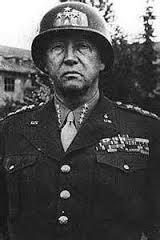 General George S. Patton summed it up when he said "America loves a winner, and will not tolerate a loser . . ."
Vince Lombardi made the following famous statement about winning: "Winning is not a sometime thing; it's an all the time thing. You don't win once in a while; you don't do things right once in a while; you do them right all of the time. Winning is a habit. Unfortunately, so is losing." The road to becoming a champion is paved by the losses of the other teams. For every team that wins a game, another team has lost. True champions understand losing, because they have been there. Clemson, for instance, lost earlier in the season and had also lost the College Football National Championship game last year to Alabama by 5 points. Understanding the sting of losing helps champions to be graceful on their victory. I always learn more from losing than I do from winning. To quote Patton again, "Success is how high you bounce when you hit bottom." It is fun to celebrate the champion and the victor in the struggle. Enjoy the moment, because when the sun still comes up tomorrow and the new day dawns it will be time do it all over again.